Augmented Reality designs are unique and innovative pieces of artwork that are created with a special hidden code in the design. 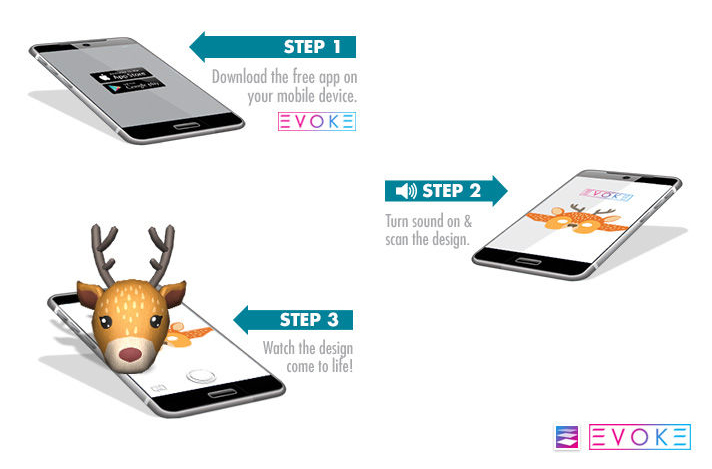 When these designs are scanned with the free TM International EVOKE App or the free Holotats App, the code triggers a 3D animation that comes to life on your device. Our designs spring into action using cutting-edge technology, rendering stunning graphics. Products with AR designs include our party kits, temporary tattoos, wall decals, TatTees and more.